Lean Six Sigma Green Belts are considered as great assets to a process improvement team. 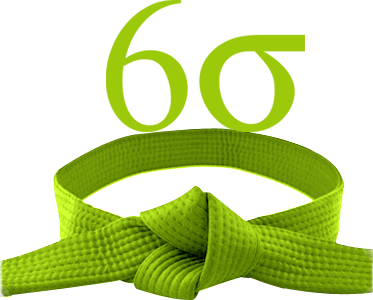 This Lean Six Sigma Green Belt Certification Training Upgrade from Yellow Belt course provides you the terminologies, philosophies and tools required to pass the IASSC Green Belt certification exam. This training course utilizes lab exercises, presentations, hands-on activities and lectures to give you a firm understanding of Lean Six Sigma at the Green Belt level. You will learn the skills you need to lead the Lean Six Sigma method improvement projects, the ability to use all steps of DMAIC methodology, to work with teams headed by a Lean Six Sigma Black Belts and aid your organization on implementing the Lean Six Sigma efficiently. On the successful completion of your training, you will be qualified to finish a Lean Six Sigma project in your organization. This course is designed for people who have completed the PD Training Yellow belt course.